Alison Rose has nearly ten years of professional experience in the sustainable development field, mainly focusing on agriculture, the environment, and livelihoods in sub-Saharan Africa. Prior to joining the IRI, she was the Manager of Research Programs at the Agriculture and Food Security Center at the Earth Institute, where she collaborated with a multi-disciplinary team of researchers on a range of projects that aimed to mobilize science and technology to advance sustainable agricultural intensification, particularly among smallholder farmers in Africa. She has a Master’s Degree in Public Affairs from the Woodrow Wilson School at Princeton University. 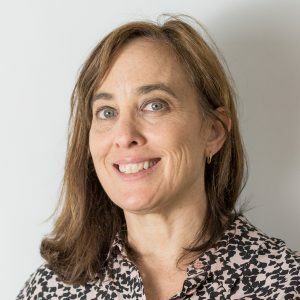 At the IRI, Alison supports the CGIAR Research Program on Climate Change, Agriculture and Food Security (CCAFS), specifically the Flagship on Climate Information Services and Climate-Informed Safety Nets. Within her role as Flagship Science Officer, Alison supports efforts of the IRI-led CCAFS Flagship to achieve its vision and set of 2022 development outcome targets; provides support on administration, planning, reporting, resource mobilization, communication and partner engagement; and helps link the Flagship’s work within IRI and with international partners.